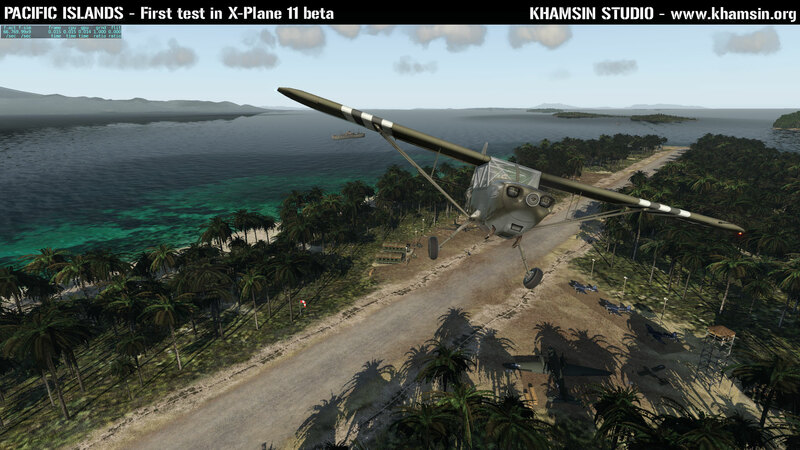 First test of Pacific Islands with X-Plane 11 beta. 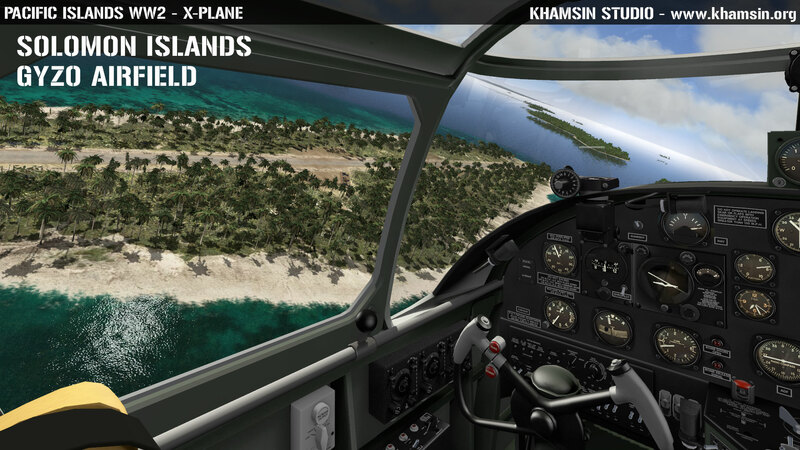 Pacific Islands WW2 V1.5 Update online ! Free update for customers of previous versions. 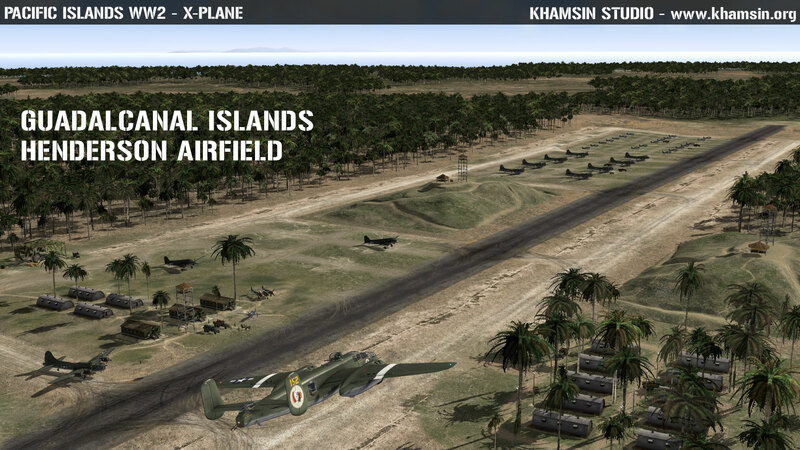 Pacific Islands is a collection of highly detailed historical airfields. As much fun as you can have in X-Plane! Munda Airport is an airport in the Solomon Islands . Opened on 1 December 1942, it was used by the Japanese forces as a forward operating base. 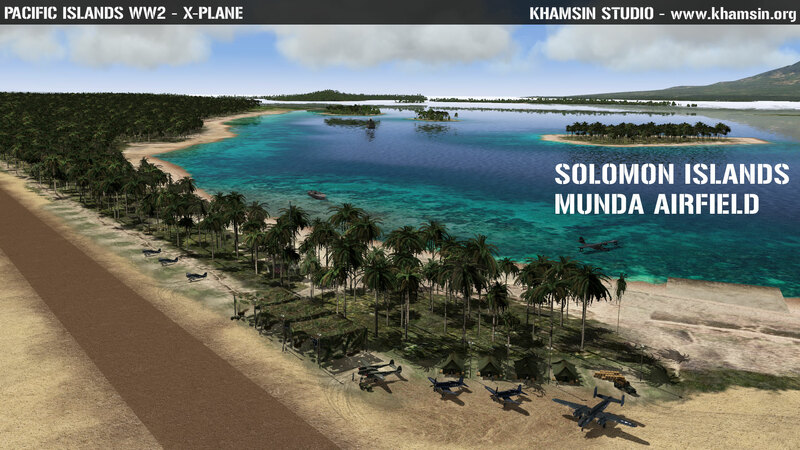 Munda airfield was the principal objective of the Central Solomons campaign. It was captured by the US Army XIV Corps forces after 12 continuous days of fierce fighting in the jungle area. The high ground around the airfield fell on August 5, 1943. (Wikipedia). Munda Airfield was used by the American forces form the remaining of the war. 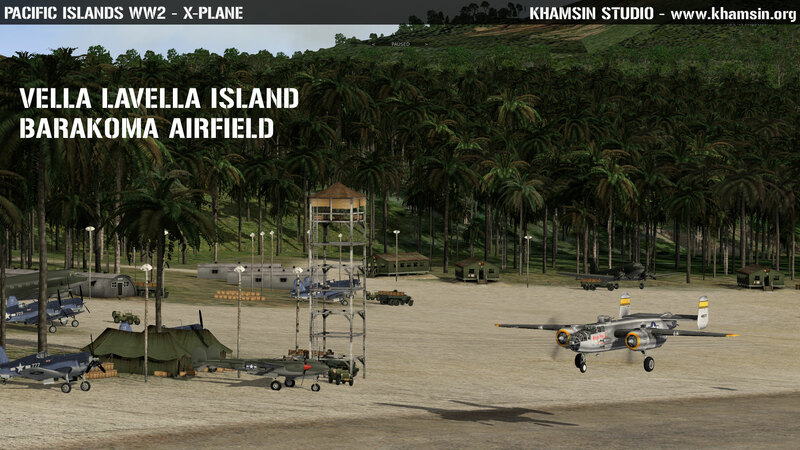 Barakoma Airfield. Located at the south-east corner of Vella Lavella, along Barakoma Bay, and south-east of Barakoma. During August 19-28, 1943 Japanese aircraft attacked Allied forces in the Barakoma area losing a considerable number of aircraft and Allied fighters and anti-aircraft claimed about 50 attackers. None of the raids did considerable damage. The last recorded Japanese raid was January 16, 1944 when four bombs were dropped three miles wide of the airfield. 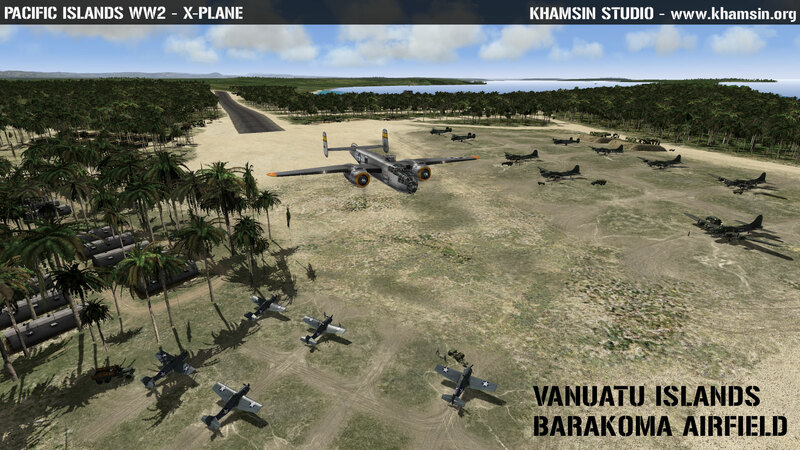 Vanuatu Islands: Palikulo Bay Airfield or Bomber Field #1 is a former World War II airfield on the island of Espiritu Santo in the New Hebrides Islands. 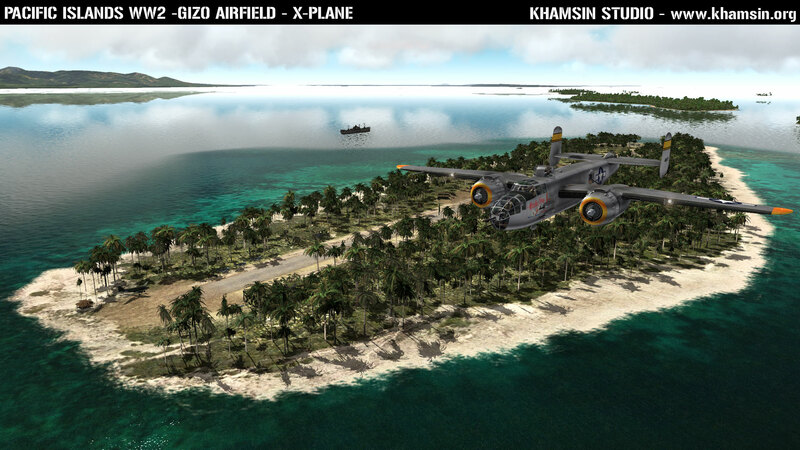 Guadalcanal Island: Henderson Field is a former military airfield on Guadalcanal, Solomon Islands during World War II. Originally built by the Japanese, the conflict over its possession was one of the great battles of the Pacific war.